Here is a link to The Lotus Sutra text. The Lotus Sutra or Sutra on the White Lotus of the Sublime Dharma is one of the most popular and influential Mahayana sutras in Asia and the basis on which the Tien Tai and Nichiren sects of Buddhism were established. 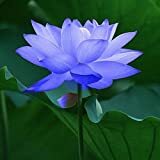 The Lotus Sutra was probably compiled in the first century BCE in Kashmir, India some 500 years after the death of Shakyamuni Buddha. Therefore, it is not included in the more ancient Āgamas nor in the parallel Sutta Pitaka of the Theravada Buddhists, both of which represent the older Buddhist scriptures which to a greater degree of certainty can be historically linked to the Buddha himself. The Lotus Sutra purports to be a discourse delivered by the Buddha toward the end of his life. The tradition in Mahayana states that the Lotus Sutra was written down at the time of the Buddha and stored for five hundred years in the realm of the dragons (or Nagas). After this, they were reintroduced into the human realm at the time of the Fourth Buddhist Council in Kashmir. The tradition further claims that the teachings of the Lotus Sutra are higher than the teachings contained in the agamas and the Sutta Pitaka (the Sutra itself also claims this), and that humankind had been unable to understand the Lotus Sutra at the time of the Buddha (500 BCE). These scholars have not released much on early fragments, except to say that they are not dependent on the Chinese or Tibetan Lotus sutras. Furthermore, other scholars have noted how the cryptic Dharani passages within the Lotus sutra represent a form of the Magadhi dialect that is more similar to Pali than Sanskrit. For instance, one Dharani reads in part: "Buddhavilokite Dharmaparikshite". Although the vilo is attested in Sanskrit, it appears first in the Buddhist Pali texts as "vilokita" with the meaning of "a vigilant looker" from vi, meaning eager like a passionless bird, and lok, meaning "look". Hey, that's some interesting information about the Lotus Sutra containing Magadhi passages! I always thought Mahayana sutras were revealed through the Arahants...this just puts more evidence forward that indeed these sutras are authentic revelations by Arahants who had already mastered the Pali Nikayas! The Gridhrakuta mountain referred to in the Lotus Sutra is Vulture Peak, near Rajgir, India. It is one of my favorite pilgrimage spots. That is where the Buddha gave this discourse (according to the Mahayana). As a person that used to practice this Sutra and believed like Nichiren did that it was openly taught by the Buddha I have a question . what possibly changed in the human realm that allowed for this to now be seen in the human realm. seriously, i honestly don't see anything in any history of the human race that shows some change from 2500 years ago and 2000 years ago. I'm seriously questioning this whole thing. I practiced Buddhism in different forms from age 15 to well into my 40's. the lotus sutra from 20 till in my forties. I need to know this stuff. What criteria are the masters claiming changed in the human realm for the dragon people to have decided to let us read this stuff. I remember following a number of threads at another forum where you and other members discussed this question. I'm sorry, I don't have an answer for it. I know you've been a long-time practitioner of the Lotus Sutra and if it helps at all, I have a lot of confidence that you'll work your way through this no matter where you land. There's so many different paths for different kinds of people and it seems that you've found Buddhism to be fruitful for a long time now. Doctor Who wrote: As a person that used to practice this Sutra and believed like Nichiren did that it was openly taught by the Buddha I have a question . I can't answer your question definitively, but I can give you some educated guesses. Perhaps since there's no one size fits all teaching, the teaching in the Lotus Sutra was especially suited for the time in which it was revealed to humans. Causes and conditions always being in flux, certain times can be more propitious or appropriate than others. Perhaps the Buddha specified to the nagas when it should be revealed to humans. Maybe the Buddha foresaw that 500 yrs later there would be beings at that location in India for whom this sutra would be just what they needed at that precise time. Maybe the Buddha foresaw that 500 yrs later, beings who'd formerly been nagas present when he originally gave that teaching to them would be reborn as humans in that location in India and their karmic link with this sutra would especially benefit them as human practitioners. The possibilities are endless. Who can claim to understand the wisdom and skillful means of a buddha? Really there's no way to prove that anything attributed to the Buddha was taught by him, but it doesn't matter. We don't accept Dharma as truth because the Buddha taught it; we accept it because we find it rings true. Hello again Doctor Who, lots of such stories in Buddhism are probably not factually true. Many texts have such comments, which are not historical events. This does not detract in any way from what the Lotus is trying to teach us. The superficial historicity of such claims is unimportant. They often point to some need at the time of the actual authorship of the text. The Lotus is well known as one of the earlier Mahayana texts. 500 years after the parinirvana is just about when it was probably written. Rejecting the deep teaching of the Lotus on the basis of some of the mythology surrounding it would indeed be as case of "throwing out the baby with the bathwater." "The Lotus Sutra purports to be a discourse delivered by the Buddha toward the end of his life. The tradition in Mahayana states that the Lotus Sutra was written down at the time of the Buddha and stored for five hundred years in the realm of the dragons (or Nagas). After this, they were reintroduced into the human realm at the time of the Fourth Buddhist Council in Kashmir. The tradition further claims that the teachings of the Lotus Sutra are higher than the teachings contained in the agamas and the Sutta Pitaka (the Sutra itself also claims this), and that humankind had been unable to understand the Lotus Sutra at the time of the Buddha (500 BCE)." Before it was that Nagarjuna brought only the Mahaprajnaparamita sutra from the realm of Nagas, or in an other version he brought only the missing part of the Mahaprajnaparamita sutra from the Realm of Nagas, there was an incomplete version of it already existing in the human realm. the same time as the sravakayana sutras were compiled in another assembly. According to Red Pine this is an existing tradition and history for the beginning of the Mahayana compilations. Last edited by Aemilius on Mon Jun 07, 2010 1:14 pm, edited 1 time in total. Most people seem to be oblivious to the nature of the history of humankind. It is not so long ago that most people in Europe could not read, they possessed no books, there was no television, no papers. People knew stories and songs by heart in vast quantities. The stories were told over and over again. There were professional storytellers and bards. It was similar in India and elsewhere. The buddhist tradition consisted of sutras (or connected discourses/stories) that were told from memory, people memorised them naturally and easily, because that was normal and customary. There was no other form of entertainment or respectfull past time. We cannot imagine this, because we are surrounded by printed text (and other modern media) the whole of our lives. You have to understand this. Sutras did not "appear" when somebody made them into a book. Even after this process of writing down had started, their memorisation, and recitation from memory, continued for another 1000 or 2000 years, almost until the present day !! The link in the first post is to a translation from the Sanskrit, which practically speaking has had little influence in Buddhism for the last 1500 years or so. Kumarajiva's translation into Chinese from another Sanskrit recension has been (and still is) the favorite version. Some of the major differences can be seen in Leon Hurvitz's translation. World or appearance is merely imagination, then you imagine that Shakyamuni is present before you and he speaks the sutra you are about read, he does this in a fraction of a second, the words and meaning of the sutra penetrate your three centres (of body, speech and mind) and are absorbed therein, thus what you now say is the Buddhavacana. Commentary: History is a form of visualisation, there is no history independent of the perceiver or the one who imagines the history, so why should one trust the histories of scholars devoid of trust in the Three Jewels, devoid of dharma practice, devoid of personal realisation ?? Aemilius wrote: Commentary: History is a form of visualisation, there is no history independent of the perceiver or the one who imagines the history, so why should one trust the histories of scholars devoid of trust in the Three Jewels, devoid of dharma practice, devoid of personal realisation ?? Please explain the basis on which you make this claim about the devoid-ness of these scholars. Doctor Who wrote: what possibly changed in the human realm that allowed for this to now be seen in the human realm. Humans got harder to tame. Humans got worse. Humans do get periodically easier and harder to tame. Then again it could be that the story that the Lotus Sutra, the Prajnaparamita, etc. were guarded by nagas or dragons for safekeeping until people were ready for them is pious fiction. It doesn't change the potency of the teachings at all. But actually, humans got harder to tame. We're all ego seeking, pleasure driven, murderous, genocidal "people" walking around in human form. Many of us just got out of the hells and we have reawakened these negative tendencies. Most people don't even know that in reality they are totally pure and are potentially a treasure vase of infinite wisdom and spiritual power. In order to keep the world from being overrun by demons walking around in human skin these teachings came to save mankind from turning everything into a hell. I'm totally serious. The situation is much worse than it seems. Maybe I'm missing the correct sources and commentaries (Zhiyi's writings?) but the Lotus Sutra has always been a big question to me. I mean, what is actually so wonderful about it? The text is overloaded with metaphors explaining the same ideas again and again. It is devoid of theoretical and practical explanations and even those few topics it touches are not really the difficult ones or anything unique to this sutra. My knowledge is superficial so I'd love to here people enlightening this subject for me. About half of the commentary of Triptaka Master Hsuan Hua on the Lotus is online, maybe perusing it will give you more appreciation of the Lotus Sutra. In book form all of the commentary is available. I've tried to explain this before in different ways. Limiting myself to the approach above: Scholars are beings or human beings, they have deep rooted views like the rest of us have, belief in the existence of enlightened ones or nonbelief in that, belief in reincarnation or non-belief in that, and so on... what you see and perceive depends very much on your beliefs, even when you are a scholar. If you are a deva you see a deva-world, if you are a yakkha you see a yakkha-world, and so on... -"world" denotes history-, a scholar has similar given attitudes that shall not be questioned, as a yakkha or a deva etc has, if he questions them he is a scholar no more. History is really a dream, there is no unchanging, solid material world that you could study "independently", so that you do not affect what you study, this is difficult to prove while you are in the dream, dream changes but you never notice it, is it not funny?? I'm sorry but I haven't met any commentary by Ven. Hsuan Hua that was meaningful to me. Nevertheless, I've just read his commentary for chapter 6 to make sure the situation is the same and it is. Here is an old commentary by Tao Sheng, which I have not read, but I just may do so. Will wrote: Here is an old commentary by Tao Sheng, which I have not read, but I just may do so. Thanks, I have the book next to my copy of the Lotus Sutra. I also have a shortish commentary by a Tendai nun and I've looked into Nikkyo Niwano's guide too. Still, while I understand its popularity as it's full of big colourful scenes, the "deeper meaning" eludes me. What would you consider a "deeper meaning"? What existing meaning do you glean from the sutra so far? What did you think of Tao Sheng's commentary?